In 2012, over half (52%) of all permanent residential aged care residents had symptoms of depression. - Australian Institute of Health and Welfare. Aged care residents have lived long and adventurous lives. At NomadVR, we aim to bridge the gap between nursing homes and the outside world to re-engage aged care residents with the freedom to explore. Imagine your residents can go anywhere they like - even if walking is no longer an option. We offer curated virtual reality experiences handpicked to meet the physical and cognitive needs of your residents. Want to take Vincenzo and his wife Maria back to their home town in Italy, without having to leave Australia? It’s very possible. 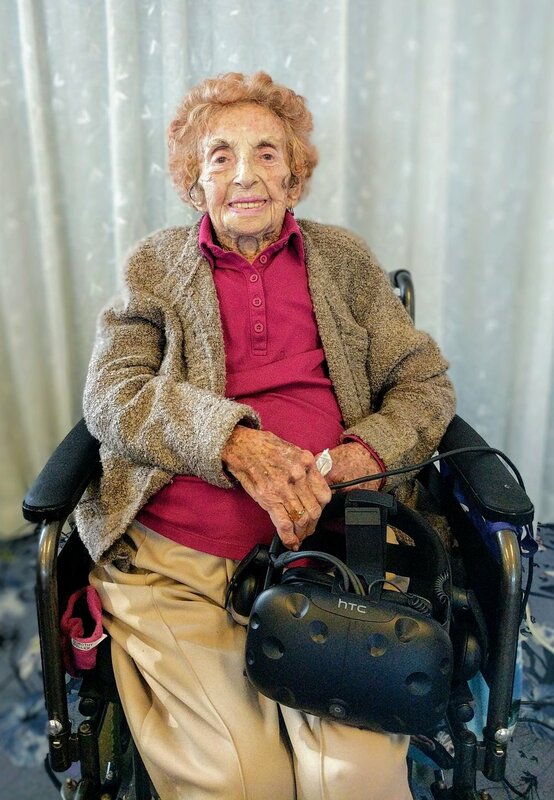 In aged care, VR technology is not simply a fun activity; it can provide the much-needed health benefits that research shows flow from remembering valued past experiences. With VR, residents can revisit places that have been significant to them in their past, stimulating their memory and positive emotions. Some residents may benefit from new experiences -- going somewhere they've never been but always wanted to go, reigniting their curiosity and motivation to experience novelty once again. As we know, 'you're never too old to learn', and NomadVR can provide residents with learning opportunities that are like nothing they've ever experienced! No textbooks, nor even a computer screen - residents can learn about the solar system by being right there in it and able to explore the sun and planets as their curiosity takes them. What's more, VR is a perfect example of 'sensory stimulation', which has been shown to improve quality of life and well-being in the residential care setting. Is NomadVR right for your residents? Permanent aged care resident, proof that you’re never too old to explore. The experiences can range between fully-seated passive experiences (like being taken to a beautiful calm beachside) to standing, interactive experiences allowing the user to walk around a virtual environment. Whether seated or mobile, residents can also use hand controllers to interact with their virtual environment to pick up objects and to navigate and explore. If you are in any way curious, please feel free to contact us to organise a free consultation and demo. We can create an action plan to suit your particular needs. Sign up for updates on our latest tech.